Aluminium slats are available in three widths, 5mm 'micro blinds', standard 25mm, and 50mm width. They come in a variety of colours from metal to patterned slats. Venetian blinds will protect the interior from the sun which alleviates fading. They can be fitted onto windows as well as hinged aluminium or wooden doors. 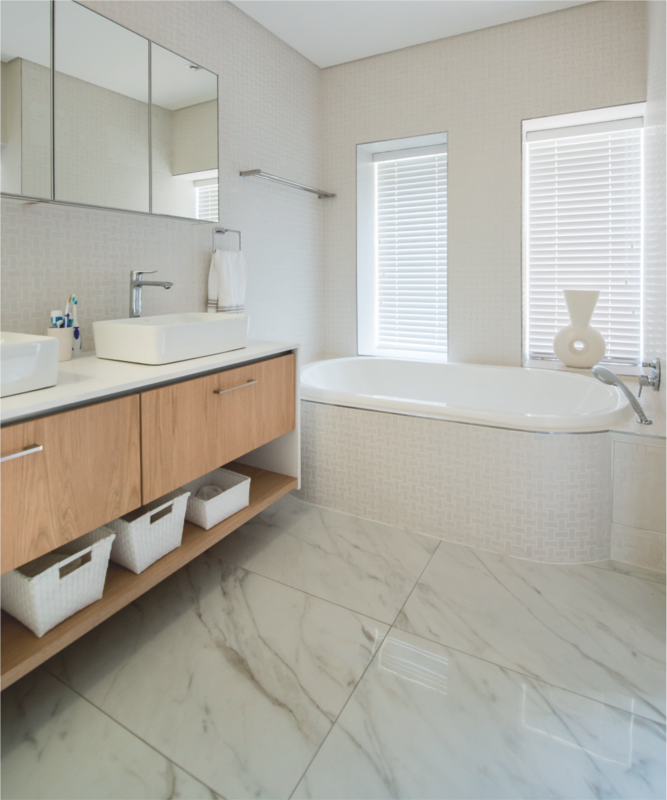 Surround yourself with the luxury of Venetian blinds in durable wood, cosy in winter and cool in summer. The simple elegance fits into a professional office as beautifully as it does into a home interior. Only wood from renewable plantations in the Far East is used. Choose from a variety of natural wood finishes, each with its own distinctive colour, e.g. golden oak, natural light wood, mahogany and cherry, as well as a white lime-wash finish. Roll-up blinds with slats of bamboo or wood are a totally natural product which fits in well with any décor environment, from period styles with lots of wood, to modern homes and offices. The blinds are manufactured in a weaving process, with the slats acting as the weft in a warp of strong string. Various slat widths and colours are available, and each unit is made up to the customer's requirements. Woven blinds offer natural light filtering for a cosy ambience, or total block-out for privacy. It also helps to minimise reflections on computer and TV screens. Vertical Blinds control the light that enters a room, your privacy and your view with elegant, durable vertical blinds. They are easy to clean and also offer excellent insulation against heat from outside. Vertical blinds are ideal for sliding doors, windows and can be used as room dividers in conjunction with curtains. The washable fabric strips are available in widths of 90mm and 127mm and present in a variety of colours and textures. The metal rail comes in the same colour as the fabric, giving it a professional designer look. The mechanisms are of the highest quality (parts of it are even patented) and will provide years of trouble-free service. This early concept in blinds has withstood the test of time. Modern versions offer a wide variety of materials, from PVC for total block-out, through to classy white canvas and other fabrics, to lace patterns – all in a wide range of colours. They may be used with any décor style and are unobtrusive when raised completely. The mechanisms are of superior quality, ensuring smooth life-long operation. Roller blinds can be fitted to any window or door, and is a practical way of protecting expensive curtains against direct sunlight. Duette® Shades feature a unique honeycomb construction that makes these shades soft, durable, and highly energy efficient. The shades built-in insulating characteristics help keep the heat out in summer and the warmth in during winter. 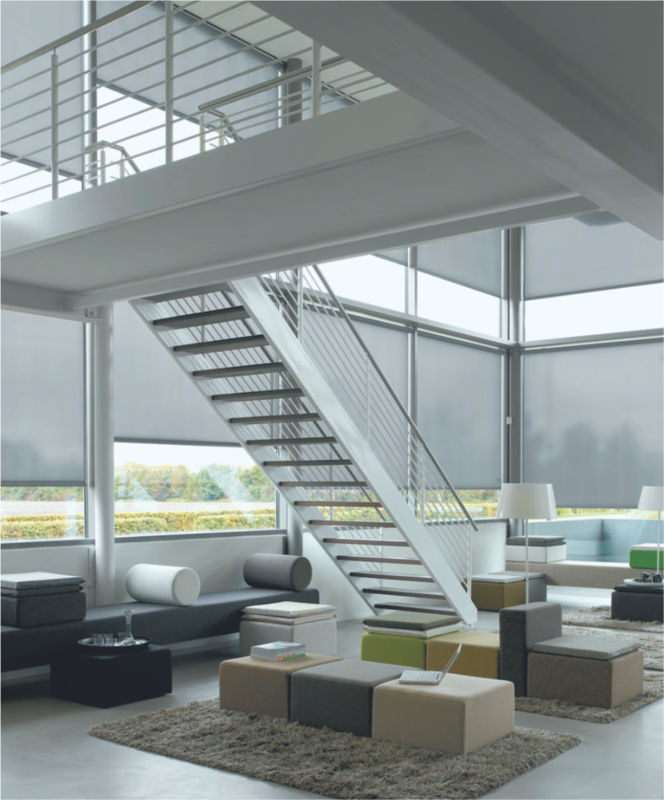 Highly versatile, Duette® Shades are available in hundreds of colours and a wide variety of semi-opaque, and opaque fabrics. The perfect solution for windows of almost any size or shape. Thermowood is an engineered wood substitute that has been tested in the USA under both humid and arid conditions. Practical and elegant, it is a perfect finish to your décor. It is manufactured from extruded PVC and is impervious to moisture, will not crack, split or warp, and is easy to clean. Thermowood offers excellent control of light and temperature. Each set of shutters is custom-built and is installed by our qualified in-house installation team, to fit exactly and function perfectly. The panels can be adjusted individually, or folded away. Turn your patio into an additional room with Clearview Shutters, or fit them />inside windows or sliding doors to control the view, your privacy and the light. There is no rod to obstruct your view – simply adjust the louvres by moving a single slat. Each set of shutters is made to order, to fit precisely and function perfectly. Clearview Shutters are manufactured entirely from extruded PVC and have no parts that can rust. It is impervious to moisture and will not warp, chip or crack. The panels can be folded out of the way, or closed against the weather. Clearview Shutters offer total control of the light that enters a room. A stoep enclosed with Clearview Shutters can even add value to your home. This is an innovative, patented system that provides an almost impenetrable barrier against burglars, without your house looking like a prison. ShutterGuard is manufactured entirely from aluminium and stainless steel, with a durable white powder-coated finish which makes it impervious to rust, wind and weather. It can also be fitted inside windows and sliding doors, and the slats are fully adjustable to provide a clear view, or to ensure privacy. It is the only system that does the work of both shutters and burglar bars.